Are you wowed and awed by the discovery of new things, the mysteries of science, and the innovations of technology? Your Place in Space t-shirt with membership! We are very excited that after lots of discussion, planning, and raising of funds from, our Planetary Society Members and supporters, the PlanetVac project is now underway. There's a fascinating Pluto conference, "The Pluto System on the Eve of Exploration by New Horizons", going on this week at the Applied Physics Laboratory in Maryland. 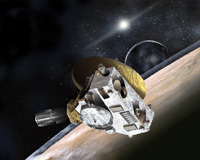 Excitement is really building for New Horizons' encounter with Pluto, which will culminate in July 2015 but which will really span the entire year. It is quite likely that this mission would still be a beautiful dream, and that Pluto and its icy moons would continue to remain a mystery for decades to come were it not for The Planetary Society's Members' efforts to make this mission a reality. Thank you to all who supported this effort! 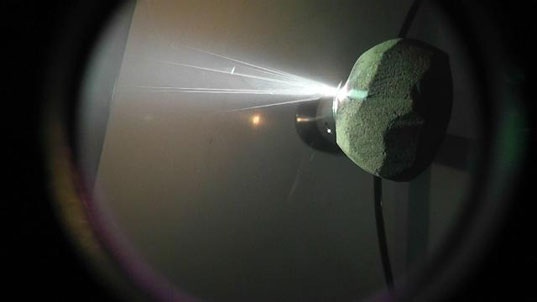 For those wishing to bore into more details of the Planetary Society's Laser Bees project itself, graduate student Alison Gibbings from the University of Strathclyde has sent their technical paper that resulted from the 2013 Planetary Defense Conference. We’ve made huge progress. At this very moment there are multiple bills in Congress that authorize our recommended level of funding for Planetary Science and a new mission to Europa. This is very much thanks to you. Here’s the latest on this disastrous NASA budget and our efforts to Save Our Science. 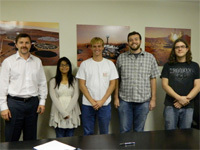 Join The Planetary Society on Monday, Aug 5th from 4:00 PM PDT - 5:00 PM as we host the Deputy Project Scientist of the Curiosity rover, Ashwin Vasavada. We'll talk about what discoveries Curiosity has made in its first year in operations, what's ahead, and revisit those seven terrifying minutes of landing. We'll take your questions via the hashtag #planetarylive on Twitter, or on the comments on this event. Here it is! Did you wave at Saturn? The view from Saturn of our Earthly home -- one and a half billion kilometers away. 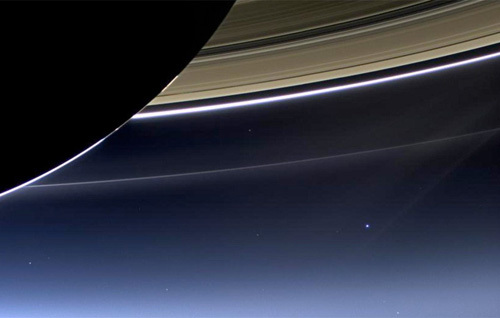 We see Earth and the Moon through a thin veil of faintly blue ice crystals, the outskirts of Saturn's E ring. Earth is just a bright dot -- a bit brighter than the other stars in the image, but no brighter than any planet (like Saturn!) in our own sky. All contents © 2013 The Planetary Society. All rights reserved.